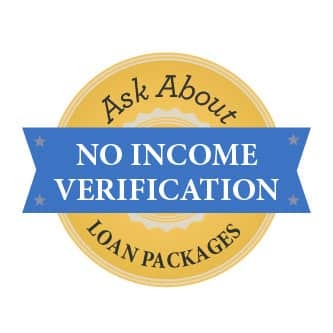 Announcing Our New No Income Verification Loan Packages! Having already helped more than 110 families buy their little slice of paradise, we, at Bella Terra RV Resort of Gulf Shores, know first-hand that sometimes, financial timing is not perfect for investing in a luxury RV lot. Perhaps you have real estate to sell, perhaps your crystal ball tells you this is a bad time to liquidate stocks, or it could be that short-term obligations make “a little later” a much better time. For these reasons and a host of others, shouldn’t you consider all your options, including our three custom-built loans? With as little as 25% down, we can custom-build a No Income Verification Loan with competitive rates. Do you need a bridge loan to carry you only a year or two until something sells? Ask about our Bridge Loan Option. Do you have assets, but don’t want to sell them today to buy your RV Beach Home? Ask about our 2% Option. Yes, you heard right. Depending on your portfolio, we can structure a loan for a net annual cost of about 2%, allowing your portfolio to continue to grow without selling a single share. So what is your next step? That’s simple; let’s chat. Tell us what you want to accomplish, and we will custom design a loan for you.